Samsung has already rolled-out the latest Android 5.0.2 Lollipop update for the Galaxy A3 (SM-A300F) few days ago starting with Russia, while the rest of the A-series devices are still waiting for their updates. 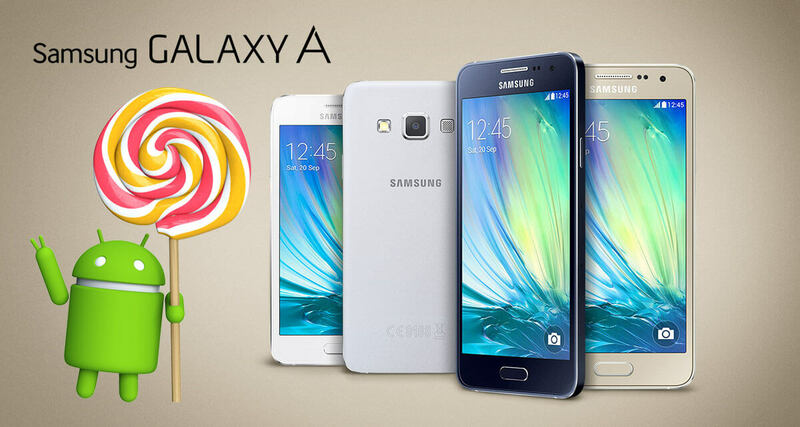 Today, we can confirm from our own sources that the Samsung Galaxy A5 (SM-A500) and Galaxy A7 (SM-A700) will receive the same Android 5.0.2 Lollipop Update Next month (June,2015), the updates are currently ready and pending release. Stay tuned! In other News, ThreeUK confirmed via its official twitter account that the Galaxy A3 Lollipop update will arrive on its network by Next month too, this means the A3 updates (currently Available only in Russia) will start expanding to reach UK next month. Meanwhile, Samsung Gulf has denied the Lollipop update for the Galaxy A series in the Middle-east region Only, considering that it's a mid-range device.